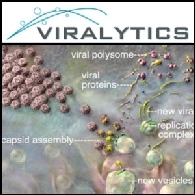 Viralytics Limited (ASX:VLA) is engaged in the development of its Virotherapy anti-cancer technology. 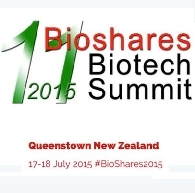 The Company operates in biotechnology segment. Australian Market Report of February 24, 2011 includes: Viralytics Limited (ASX:VLA) received a patent granting notice from China regarding the use of EVATAK(TM) as ovarian cancer treatment; Peak Resources Limited (ASX:PEK) reported the remaining assay results from the November-December 2010 RC and diamond drilling campaign; Ferrum Crescent Limited (ASX:FCR) has commenced drilling at the Moonlight Iron Ore Project in South Africa; United Uranium Limited (ASX:UUL) announced that No.1 Institute of Geology and Minerals of Shandong Province received investment approval; Gindalbie Metals Limited (ASX:GBG) announced today that the maiden shipment of iron ore from the Karara Iron Ore Project in Western Australia will occur within two months. 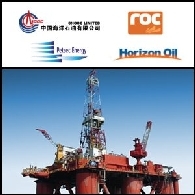 Australian Market Report of January 31, 2011 includes: China National Offshore Oil Company Limited (HKG:0883) (NYSE:CEO) has approved the Project Investment and the Overall Development Plan for the development of the three oil fields in China; Copper Strike Limited (ASX:CSE) signed agreements with China to fund multi-deposit project in North Queensland; Jupiter raises A$150 million to advance mining projects in South Africa and Australia; Viralytics Limited (ASX:VLA) (PINK:VRACY) has received Chinese notice for the grant of a patent involving of the use of CAVATAKTM RNA as an anti-cancer agent in human melanoma.